ST. GEORGE – Following news of Supreme Court Justice Antonin Scalia’s death Saturday, members of Utah’s state government and congressional delegation released statements concerning his passing. Scalia was 79. The Associated Press described Scalia as “an influential conservative and the most provocative member of the Supreme Court.” He was appointed to the Supreme Court in 1986 by President Ronald Reagan and served as a part of the conservative majority on the nine-member body. Like so many others, I am saddened to learn of the sudden passing of Justice Antonin Scalia. A true legal giant, he will be remembered as an unwavering defender of the Constitution with strong resolve and exceptional intellect. As one of the longest serving justices on our nation’s highest court, his impact on this country will not be forgotten. Jeanette and I extend our heartfelt condolences to his family and offer prayers on their behalf at this difficult time. Justice Scalia was a titan of the legal community and leaves an indelible legacy on the high court. He was a man of God, a man of principle and an unwavering defender of the rule of law and the Constitution. I am truly saddened to learn of the death of Justice Scalia. 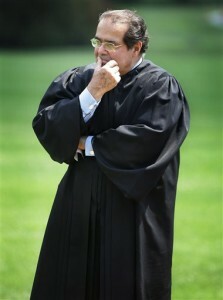 He has been the principal voice of conservatives on the Supreme Court since 1986. He was undoubtedly the wisest nomination made by President Ronald Reagan. We will miss him and his reasoned influence on the Court. I hope his replacement will strive to honor his legacy of protecting the constitution. Justice Scalia – Firm in the principles of our nation’s founding documents. He left a great legacy and will be sorely missed. 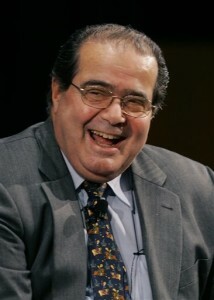 The world has lost an exceptional jurist and a brilliant mind. Justice Scalia’s respect for the Constitution and for the bedrock principles of American government helped preserve and protect the most successful form of government in the history of the world. His loss is irreplaceable. I was fortunate to spend some time with him discussing his views on the Constitution. He will be missed. Our deepest condolences to the Scalia family. The Justice and his family are in our prayers. Justice Scalia was one of the greatest Supreme Court justices of all time. His intellect was admired by Americans of all political persuasions and his consistent fidelity to the text and original meaning of the Constitution have transformed the way we all approach the law. Justice Scalia was a giant of the law and a true patriot. He devoted nearly four decades of his life to public service. As a scholar and a jurist, he led a much-needed revolution in the law, based on the enduring principle that the role of a judge is to say what the law is, not what the law should be. His opinions, filled with unmatched wit, will continue to shape our nation for decades to come. Above all, he was a dear friend, and I will miss him greatly. Maureen and the entire Scalia family are in Elaine’s and my thoughts and prayers.